​It has felt like a dry spell for me, in fact a very uncomfortable dry spell. I’ve been short on inspiration, and I’ve questioned everything I do. Am I an artist, or am I just fooling myself? I have not been able to see the road ahead… it’s been murky and clouded and confusing. I love making things that are whimsical, but I began to think that if I were a real artist perhaps I would be doing more serious things. Maybe I do fun things, and real artists do ART. Then I got really stuck because I had this overwhelming desire to make very big sculptures, and I thought – who’s going to buy those?! And I started thinking that perhaps I should concentrate on only making things that people may want to buy – and voila! that made me want to stop working altogether. And THEN began a new cycle, with me wondering why it is that people like what I do? After that I went on to the really big existential questions – like What IS art? WHY I LOVE TO TEACH! ​Why do I teach art and not just make art all the time? There are several reasons – as you will see below. But overall, I think that I must love teaching art as much as I love creating it. Teaching is somewhat of an obsession for me. When I learn something, I want to teach it, to pass it on, share it with others. Not only art – everything. I teach yoga too because I love it and want so much to show others how they can benefit from it. But teaching art is especially rewarding. Giving people the tools and techniques to create what they see not only challenges their assumptions about themselves and stretches them, but it can actually ignite creativity in a person, and THAT’S exciting! 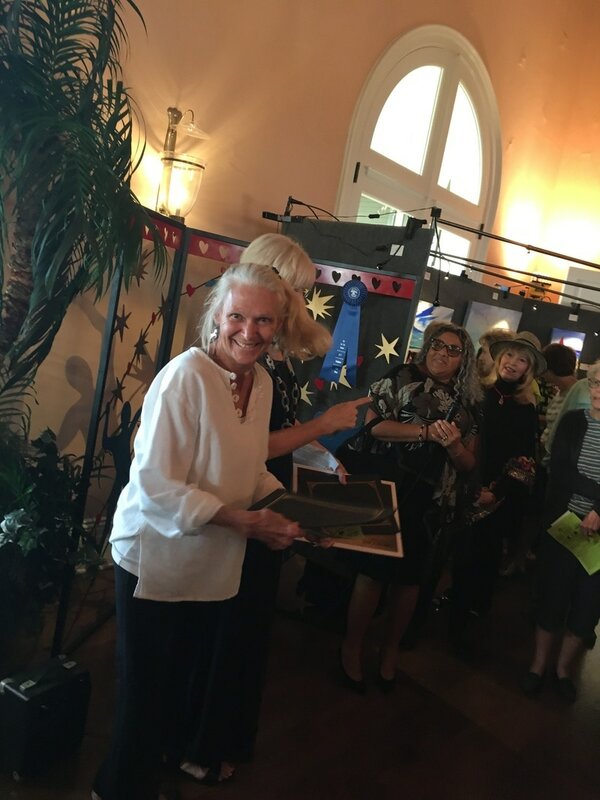 And the truth is, that whether I am teaching beginners, intermediates, advanced or established artists – I always learn more from them than they do from me. The other day I was thinking about my granddaughter Katie. She sings constantly, dances and plays music. You could not stop her, even if you wanted to. She is compelled to sing – it’s simply a part of her that cannot be unwound from who she is. That is the way I feel about clay. I dream it and am driven to do it all the time. I can’t stop myself from constantly creating! Everything I look at inspires me to make something. 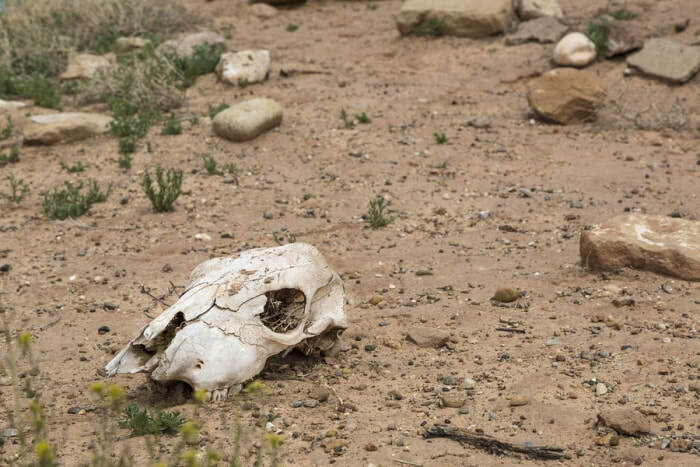 In nature I see textures, colors, rhythms and compositions. As I drive past a hydrant or water pipes, I see colors and shapes that inspire me. IS BUYING ART A LUXURY? I don’t think so. Frankly, you don’t have to be a millionaire to buy original art, but how great if you are – because then you can buy LOTS of art! ​My sister and I are excited because we were accepted into a number of art shows this year. Peggy is busily working the wheel and exploiting her fertile imagination to build enough inventory. My background is in business, so my thoughts have turned to the concept of art as business, and I’ve been thinking about why people buy art. And of course, there are so MANY reasons to buy original art. I am sharing with you my top 5! A cylinder on my wheel! 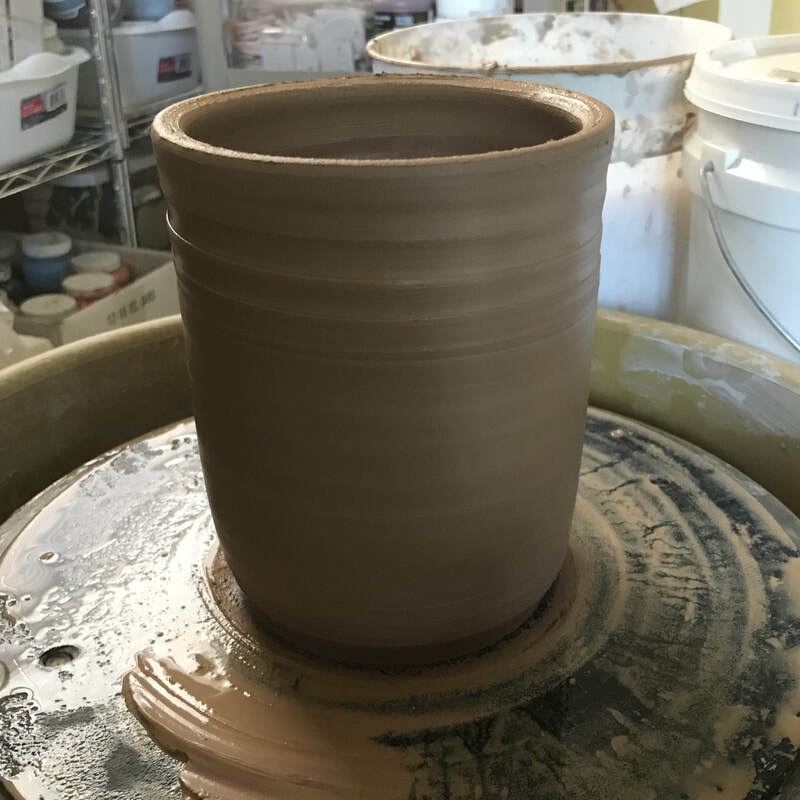 There are basically two ways to open a centered piece of clay when you begin throwing a pot: either as a bowl or as a cylinder. Most all finished pieces of wheel thrown pottery will evolve from these two shapes. The difference between them is that the inside bottom of a cylinder is flat and the inside bottom of a bowl is curved. Simple, right?! 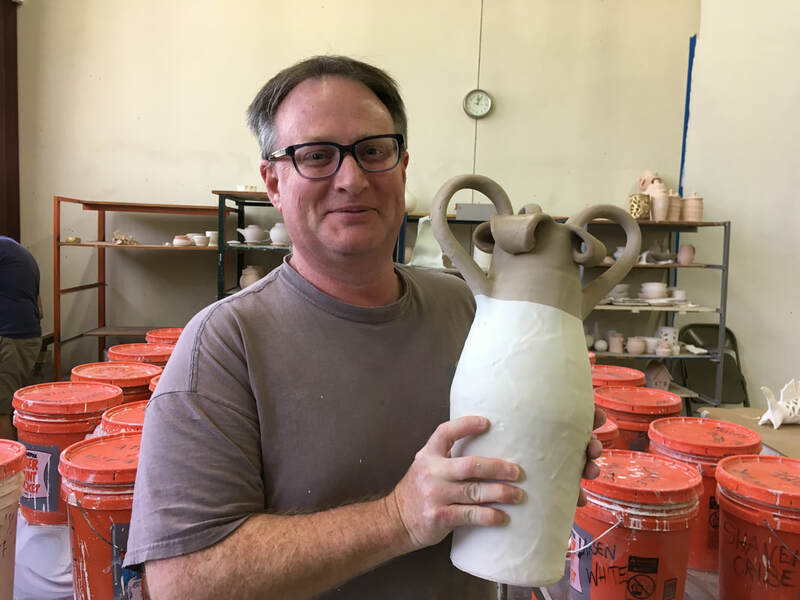 I start my students off with making cylinders, because it's such a basic shape, and I find it to be the easiest way to learn the art of throwing. When making a cylinder, beginners are able to practice many different skills; opening the pot, pulling-up the clay, developing even hand movements, and learning how to assess and adjust the thickness of the walls. Throwing a straight-sided shape necessitates all these skills and more, and is more complex and instructive than one might think at first. Often new wheel throwers attempting to make a cylinder will actually create a bowl with a flat bottom inside, because of hand placement and that thing called GRAVITY - which tends to widen the sides! Learning to throw a cylinder is quite a challenge - and thus a good way to start on the wheel is by throwing one over and over again! Tip: The clay doesn't have a brain! It's not the clay, but your hand placement and how you leverage the centrifugal force of the wheel that will get you to where you want to be. I've peppered this article with many videos to illustrate each step of the process. 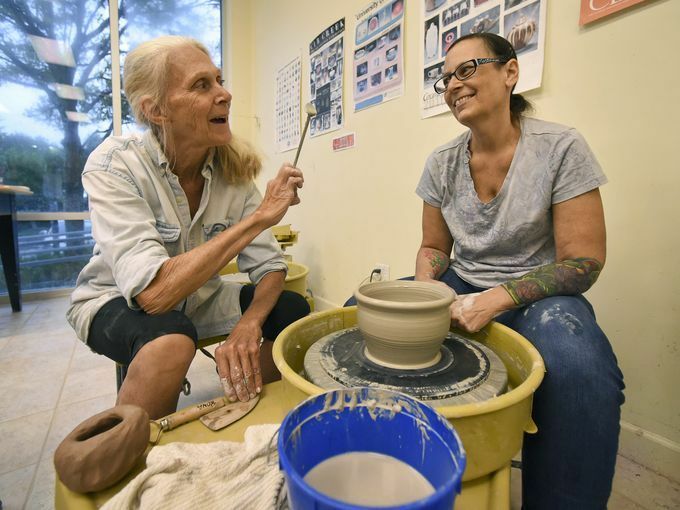 All potters develop their own ways of throwing on the wheel, and what’s presented in this article is only how I teach it. Methods of throwing are VERY individual, and will be developed by each potter themselves in time - simply by doing it over and over. What I teach my students is the easiest way for ME to do it. And then they will have to work at it to find the way that makes it easy for THEM to throw. For example - I like to open up a vessel on the wheel with my right fingers, steadying them against my left hand as I do it, and so I show beginners how to do that. But with practice, some may find that opening with their thumbs is easier - and that's exactly how they should do it! 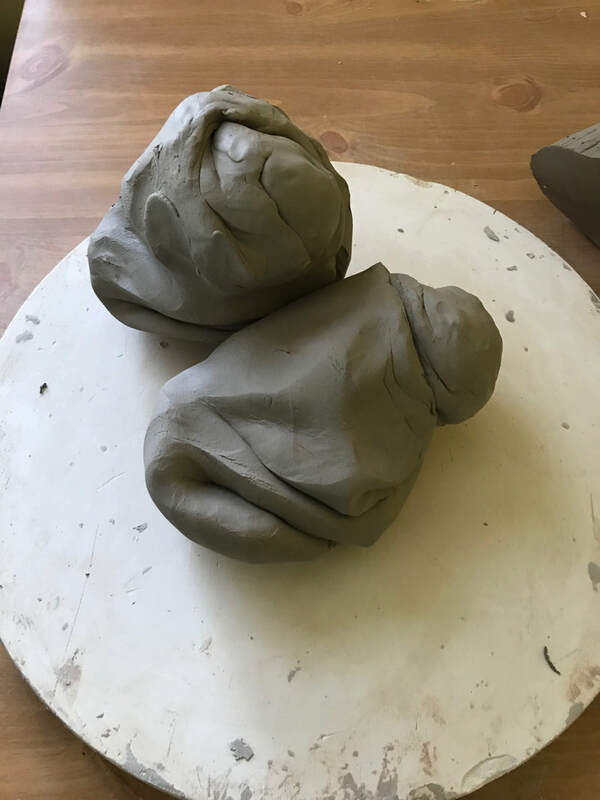 Kneaded clay...what will it become? This is an explanation of why I start off all my beginning students with handbuilding. Some students feel they may be wasting time on learning handbuilding techniques, but I think handbuilding is the FOUNDATION of working with clay. This series is not meant to be a comprehensive course in ceramics. But since I've been making pottery and teaching clay courses for many years now, I want to share some of the insights I've gained. And by insights I mean things that I think make it easier to teach and to learn Clay Art. Wheel thrown pottery is always symmetrical. You can alter it on the wheel after throwing so that it's no longer symmetrical. 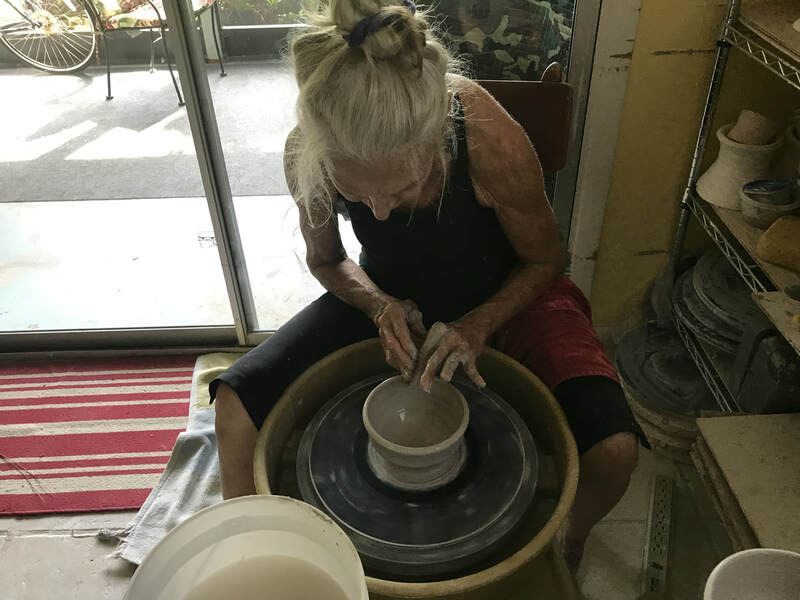 Wheel throwing is essentially a production "sport", and an accomplished potter can throw many pots in quite a short period of time, repeating the same sizes and shapes over and over. This makes sense if you need to quickly produce 50 mugs, bowls, plates, pitchers or vases! But even if you envision yourself in the future to be wheel throwing exclusively, and your final goal is to be a throwing production potter - you will still benefit enormously from learning handbuilding techniques. That's my dream, and it fuels my infatuation with making handmade clay boxes. I can't stop doing art - I create things compulsively and joyfully! Let me share with you how you too can do this…. Here are 6 simple strategies that will empower YOU to create - and to be overtaken by joy in the process. ​Bring a sketchbook with you wherever you go. If you're off on a walk, a bike, a kayak adventure or a road trip - make sure you have with you the tools you need to make notes and sketches about what you see, and the ideas and inspirations that strike you. Words alone will not help you to remember what you see, you must SKETCH it too - right away. A quick drawing captures the visual feeling, the essence of what you see. If it's really impossible to stop and sketch, take photos to remember and then do a sketch at home. The sketching begins to build traces from your eye and brain to your hands, and creates a more lasting memory. Over the years I've watched my sister fall ever more deeply in love with clay art. It's truly been a progression into joy. Not a linear progression however, because like many women she was waylaid by life's adventures along the way; 5 children, several businesses, and the intense reality of raising a family alone. But she's never wavered from her intense purpose and drive to create art. From early years I remember growing up in a home filled with my sister's art; perspective studies, pointillism experiments, toothpick spheres, paintings, mosaics and more. 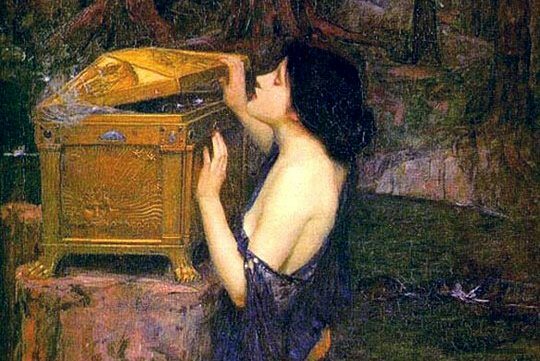 Diverted away from her desired path to art college by overly anxious parents, she nevertheless persisted in ever more creative pursuits. From sketching, painting, photography, wood carving and textile art - she never stopped creating art. And then she discovered pottery. 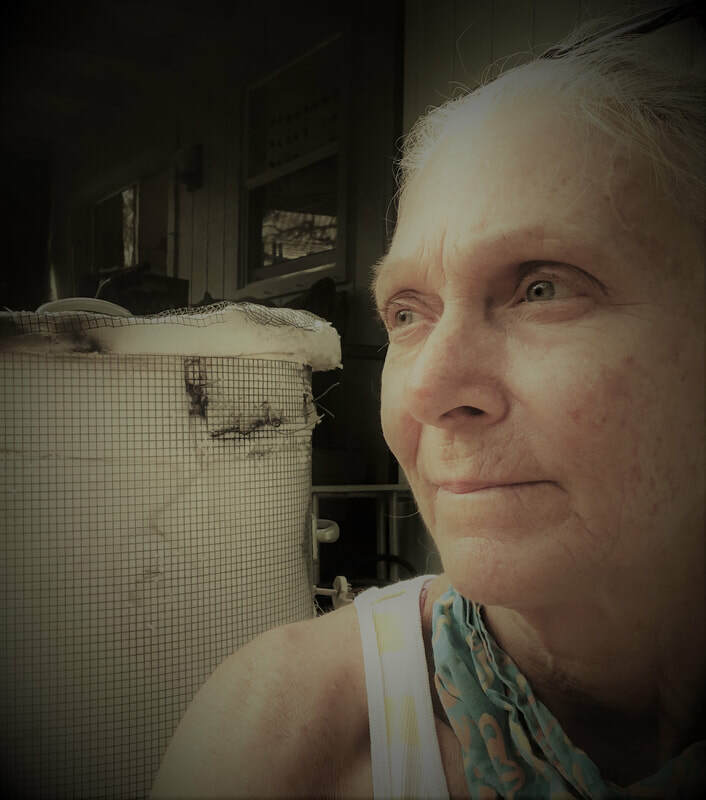 I love to educate people about clay, and am passionate about how it works; joining it together, kneading it and making it do what you envision - and then firing it. I am Peggy's sister. I love what she does, and have set out to show off her work! I am the webmaster here at PTCA, and I write some blogs too. My background is in building a values-driven business. Are you located on or near Florida's Treasure Coast? Lucky you to be in such a beautiful place!